Not since Victor Erice’s 1973 film The Spirit of the Beehive has there been such a dreamily accurate depiction of what it must be like to be a child caught fast in events of tremendous import and then tempest-tossed by dizzying waves of danger and discombobulation. Guillermo del Toro’s Pan’s Labyrinth came awfully close; like Beehive, it also took the fragility of youth and set it against the chaotic, bloody backdrop of the Spanish Civil War, but the camera’s point of view didn’t begin and end with his doomed protagonist, Ofelia. At times it roamed elsewhere, by necessity. 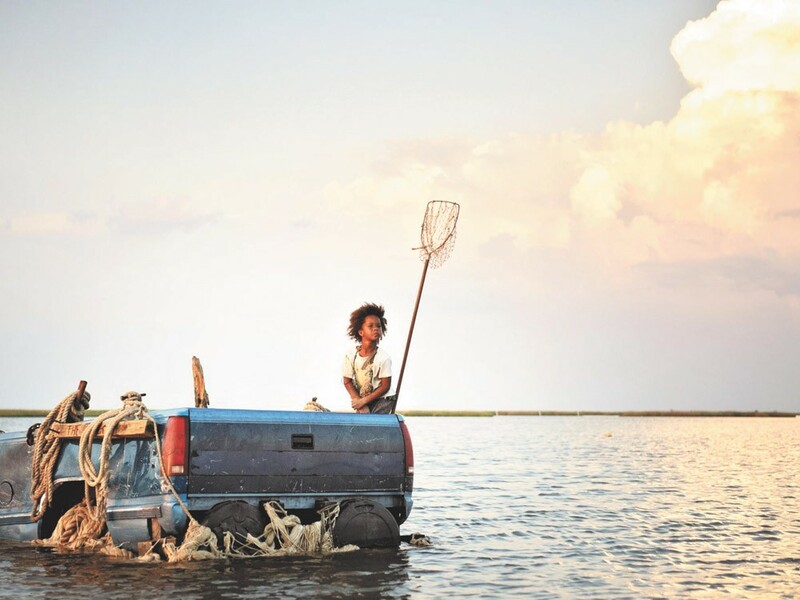 Beasts of the Southern Wild, by contrast, sticks like mucilage to the viewpoint of its protagonist, 6-year-old Hushpuppy (Quvenzhané Wallis, who may turn out to be the youngest actor ever to win an Academy Award). Living an almost feral existence on a wild, low-lying island of the Louisiana coast known as the Bathtub, little Hushpuppy narrates her own vivid life story in the particular manner of kids. There is no discernible past, nor much more than a shadowy, ominous future; Hushpuppy exists fully in whatever moment she happens to find herself in. It’s a jaw-droppingly good performance from this pint-sized, first-time actor. There’s a storm coming to the Bathtub, and while it’s never mentioned by name, the dreadful reality of Hurricane Katrina permeates this film like the toxic-rainbow chemical slicks that coated so much of the Gulf Coast in that disaster’s wake. Populated by societal castoffs and a motley assortment of interdependent human beings, the Bathtub is long overdue for a scrubbing, but is comfortable, in its own muggy way, for those who live there. It’s a tidal pool of defeated humanity but at the center of it stands firm a fierce little girl with a will of iron and the lyrical imagination of a natural poet. Chief among the other residents is Hushpuppy’s vaporous, alcoholic ghost of a father, Wink (Henry). There’s also a gaggle of rowdy, perpetually stewed adults and a scattering of begrimed but seemingly happy urchins, but really, this is Hushpuppy’s world and everyone else — including her long gone mother — just lives (or dies, as the case may be) in it. Someone’s bound to ask: Yes, but what’s it all about? To that I can only reply: life, and nothing but Hushpuppy-style.